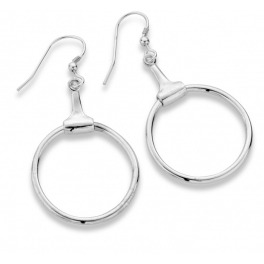 These half bit shaped hook earrings, beautifully crafted in sterling silver, would make the perfect gift for any horse enthusiast. Why not treat yourself to these classic drop earrings and add them to your collection of horse jewellery (jewelry)? 35mm drop, they come presented in our black leatherette presentation box.